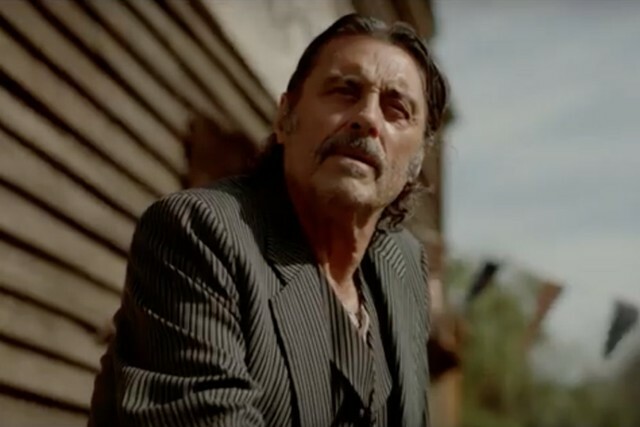 HBO has released a trailer for the forthcoming movie adaptation of Deadwood, the beloved and critically acclaimed series that went off the air in 2006. In the 55-second clip, we get reacquainted with Al Swearengen, played by the inimitable Ian McShane. “Every man worth a name knows the value of being unreachable,” Swearengen says over a montage reintroducing viewers to Alma Ellsworth (Molly Parker), Seth Bullock (Timothy Olyphant), and other familiar faces. Deadwood creator David Milch wrote the script, which was directed by Daniel Minahan, who also shot several episodes of the series. The two-hour film premieres on HBO on May 31.